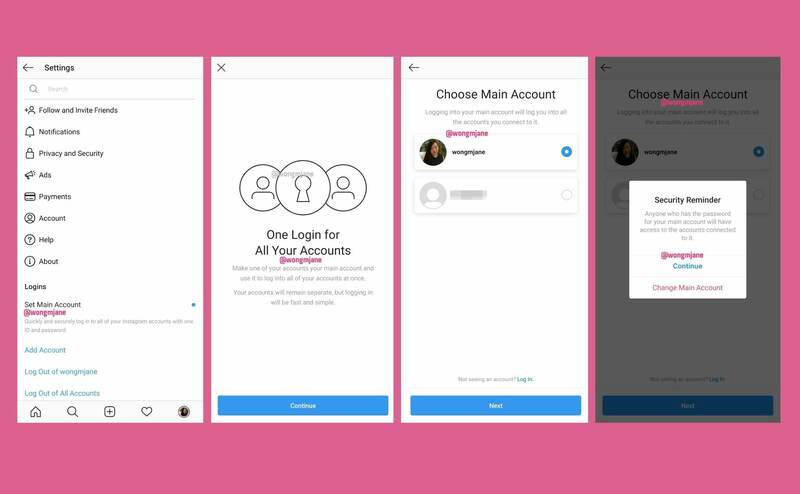 Reportedly, Instagram is making some changes to how users switch between multiple accounts on its platform. According to a tweet by Jane Manchun Wong, the new option is currently under ‘test’ mode and will allow users to connect their multiple accounts through a single login. Nowadays, it is a trend for users (especially the youngsters) to make multiple accounts of their respective social network. This makes it easy for them to share their personal details with ‘close’ acquaintances without the fear of being judged by the ‘others’ on their main profile. Instagram users were happy with the news and some of them replied to Jane’s tweet as this to be an interesting feature. However, this raises a question – how many Instagram users are exactly running multiple accounts? Today, Instagram sees a billion active users monthly but are these numbers authentic for this type of usage? If the company itself is making the feature accessible, there must be a strong likelihood that the trend is a normal one for the users. This is an important point to ponder at! Let’s wait to see what the tech experts think of this new feature!